This entry was posted in Mindsets, Minimalism and tagged declutter, food, lifestyle, real simple, relationships, simple eating, simplify, work life balance. Bookmark the permalink. I like your advice about reading food labels — if it’s real food, it’s less work! Thanks Berin! I love shopping for whole foods because there’s never a question about ingredients I’ve never heard of. What a great list. I started a new job September 1 of this year and I now make it a point too get 8 hours sleep a night ( huge improvement over my 5 hours a night), I walk to and from work and take Sundays as my rest and be kind to myself day. I cannot believe how much better I feel. Next step is to focus on real foods and to quit smoking (gross I know but being honest). Thanks for your words. You are encouraging and inspiring. Thanks! Wow, that’s so important – taking the time to care for yourself properly can be so hard sometimes but it’s totally worth it. You sound like you are making some great positive changes and I think that takes a lot of courage. I need to make some changes myself (especially in the exercise department) so it’s so good to hear from others. Keep it up!!! I love love your blog. Everything you say just makes so much sense, and I look forward to seeing what you have to say next! Thanks Tami! So happy to have you as a reader 🙂 Hope all is well, and hope to meet you someday! I love all the points you bring up! I need to save your list as a reminder of what I want life to be. If I were to think of a golden rule it would be to slow down. For me, rushing brings stress and makes me forget all the simple things I strive for. Slowing down can provide time for all of it. Thanks Lisa! I’m so glad it resonated with you. That’s such a great rule – one that I definitely need to write and post on my corkboard as a reminder. I agree with your list Emily! I would add try focusing on one area at a time until it’s an established habit. Getting overwhelmed can be paralyzing when making changes! I totally agree with you! It was a big step to finally make a move and go back to school to get into a job I can love, but I truly felt like my potential happiness was in my hands. This was nice…short, simple, and thought provoking….a good read, thanks! This is a cool list. I enjoyed the Frankness. The notes on work are great. Change it if you are unhappy, don’t put up with it and just complain. I think there are too many people that feel stuck in their job. The unhappiness that stems from this ebbs into every corner of their life. I wish more people had the courage to get out of corporate drudgery and choose meaning over money. Thanks! I remind myself of that often because I see what complaining & remaining in a bad job can do to people. Thanks for stopping by! Love it! Looking forward to reading more of your posts. 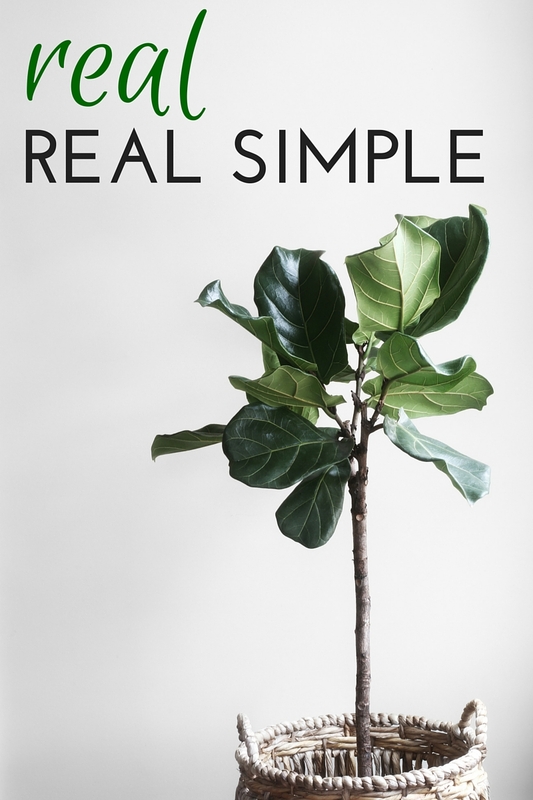 I love your reminder about food – keeping it simple by choosing to eat REAL food. Learning how to use the magic of real food in your life is easier than we think! Glad you like it Tess! It really is easy, and it’s so delicious! I like what you’ve written about relationships. I never thought to put people into categories like that but it seems like a good way to sort things out. I feel like as we get older, we sort of naturally do this. I’m seeing a lot of people unhappy because they are wasting their time and effort on obligations to negative people. Being sort of organized this way might help people wake up to that reality. Thank you! Thanks! I’m glad you enjoyed it. It’s just so true, even though it can be really difficult to manage sometimes. Thanks for reading!